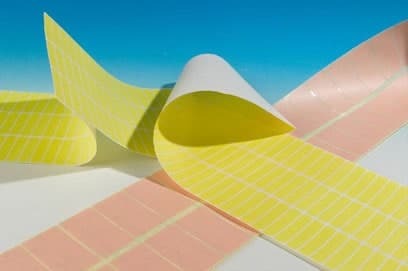 Thermal Transfer Printers, Direct Thermal Printers, A4 laser and Ink Jet Printers, Copiers, and Dot Matrix type Printers. With a variety of size and options, Smart Labels and Print is a leader for plain labels. Our stock sizes are held on rolls with a 76mm internal core manufactured on high quality white vellum face paper with a permanent adhesive. We can supply on rolls 19mm, 25mm, 44mm or 76mm cores. We can also supply as continuously fanfolded with or without sprocket margins. We can supply on sheets. We can supply as cut singles. Plain Labels are used in many varied industries for example Chemical, Clothing & Footwear, Food, Distribution & Warehousing, Packaging & Printing. For our standard stock sheet sizes see our Laser Labels page Turnaround on special makings varies from 5 – 12 working days dependant on material choices, press loadings etc. Plain Labels are used in many varied industries for example Chemical, Clothing & Footwear, Food, Distribution & Warehousing, Packaging & Printing. 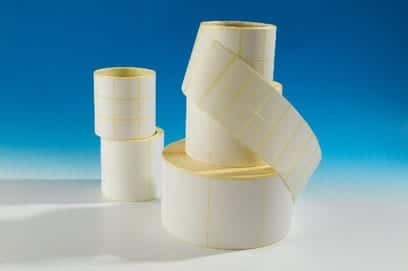 If you are looking for on roll/fanfolded Thermal Transfer Labels or Direct Thermal Labels then please click link. We produce Plain Labels by various Print Processes dependant on the size, material & run quantity required. We may use Hot Foil, Flexographic or Litho processes.